I didn’t do a great deal of birding whilst in Madeira in early January, but I made sure to catch up with at least a few of the endemics during some of my forays out into the countryside. 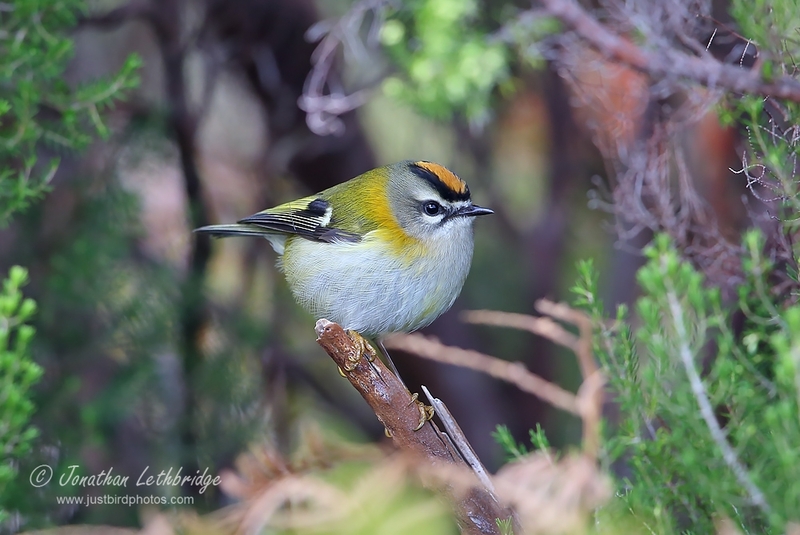 No trip would be complete without getting good views of the local Firecrest, and I am happy to say unlike Firecrest here these are everywhere – possibly the commonest bird in the right habitat. They are easily located on sound, a single note call that our birds just don’t make, and they’re not particularly shy either so good views are guaranteed. My best encounters were along a couple of levadas around Ribeiro Frio, but I heard them all over the place and the nicest photos were actually a bit higher up towards the radar at Arieiro. I saw Trocaz Pigeon in a couple of places, but these are much more restricted. The best and closest views were from the track that runs underneath the Balcoa watchpoint. You are also guaranteed to see the species from the watchpoint itself, but you are looking down on them from a great height as they fly above the Laurel forest. Excellent views, but not camera excellent. 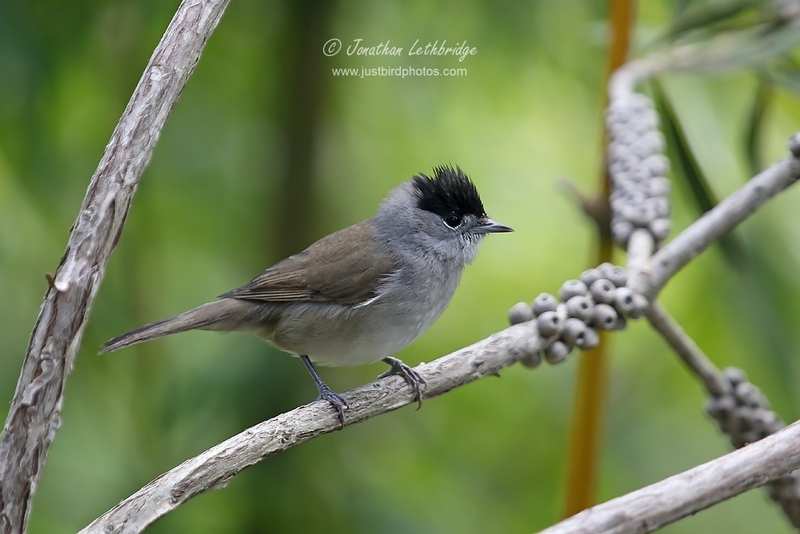 The Blackcap on Madeira is an another endemic subspecies to Macaronesia, heineken. Visually I could not tell them from the birds we get in the UK, though in theory they are browner on the mantle. They also refresh the parts other Sylvia warblers can't reach. What I found different was the intensity of the single note “Tak” call. Perhaps this is because I have not heard a Blackcap for several months, but it seemed to me to be a level harder than the nominate species. I found the bird to be commonest at lower altitudes in gardens, but I got my best views from a balcony that was level with the canopy at the Monte Palace Gardens. I pished it in and although I didn’t have a birding lens with me, maxed out my tourism zoom with a 2x converter to get something that is passable. 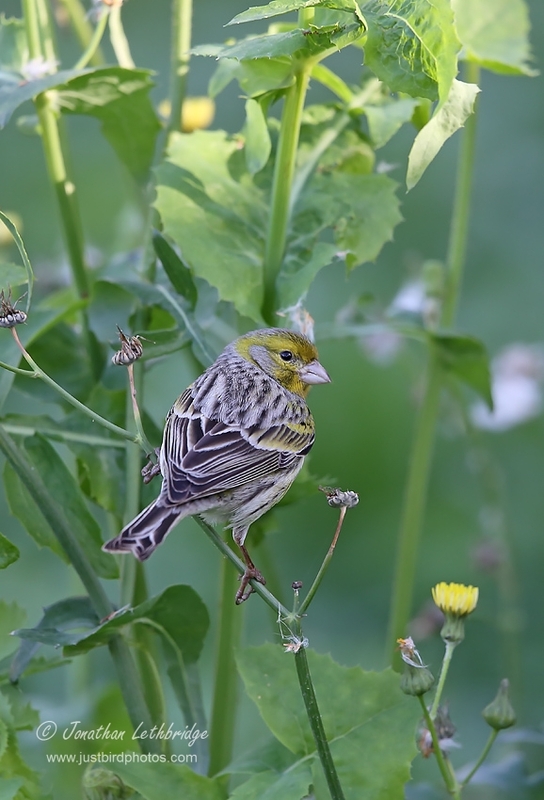 Atlantic Canaries are very common, particularly so around areas where sparser vegetation blends in alongside gardens and banana plantations down near the coast. 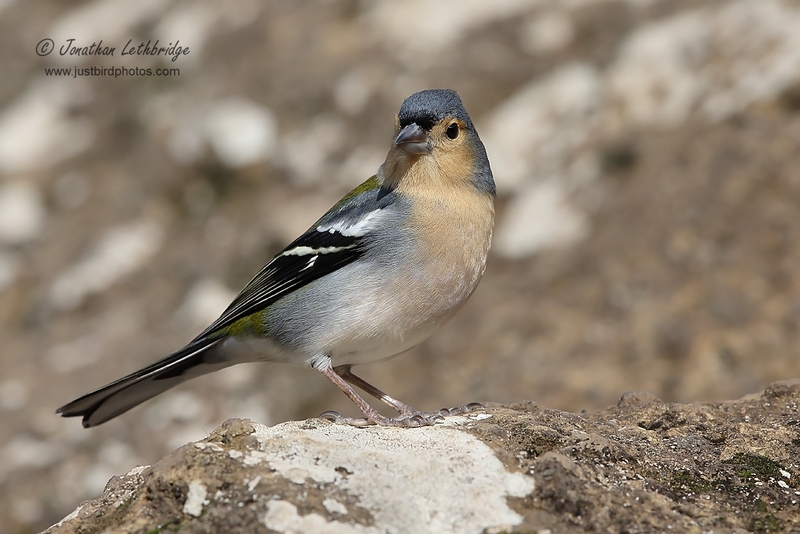 Easily picked up by their jangly calls, sounding not unlike Serin which most European travellers will be familiar with, I got excellent views of these in Funchal itself. I can recommend the coastal area in the Lido district as being a good place, especially alongside the waste ground along Rua da Ponta da Cruz – which is also a good spot to seawatch from so you can kill two birds (possibly more!) with one stone so to speak. With patience and if you stay still, the birds will be feeding all around you, which is what happened to me only about five yards off the pavement. That Madeiran Firecrest is simply stunning - an amazing picture of a bird that doesn't often stand still! Am enjoying your landscape pics as well especially misty and frosty winter mornings. Yes they were particularly frustrating, and that photo represents one of about seven vaguely acceptable ones from about two hours of trying.